Mommy Gossip: My Very First Blog Award. Speech! Speech! i puffy heart love you for giving me my FIRST award!!! THANK YOU!!! Now i have all kinds of ideas running through my head for an "acceptance post" but i need you to be patient. it's gotta be good... so it may take me a few days! in response to your last comment, i do love my nannying job, but it gets tiring at times. as mothering does too! its just different though because it's not your own kids. i have been having a harder time with it recently due to some irregular circumstances... but i'm learning my place in the kids lives... i try to love them as much as i can, but at the same time not get too close, because it will just rip my heart out to leave them... ive been with them over a year now and have just under a year left... the littlest one will be in kgarden next fall... so we'll see what happens! Congrats on your award! I know a few of the blogs you passed it onto, but am off to read the rest. You're a hoot! Love the acceptance speech! 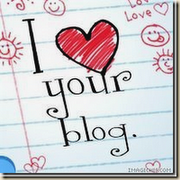 Thanks for stopping by my blog...your comment was very sweet! I just browsed through your last couple of posts....you certainly have a way with words!! I will be stopping back!! What a great list of people to pass the award on to, I love many of them myself! Congrats on your award! Thanks for stopping by yes its still very hot in GA! Congrats! Thanks for the comment. I read your comment on Our BlubHer Overhaul. I didn't see your email address so I'm leaving this comment. I can send you the info to get your started in the group, please just email me at aschmittylife(at)aol(dot)com. THANKS! YAY! i am soooooo happy you got the hyper-links working! You are Rockin N Rollin now sistah! Congratulations on your beautiful award! Congrats on the award! Thanks for visiting me. I will have to check out that book you mentioned.